Red: Yeah, it's mine. I tell you the last time I was that close to a Japanese machine, it was shooting at me. 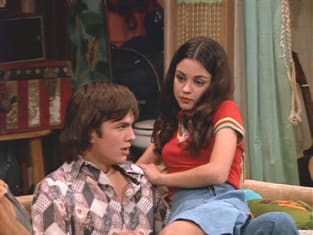 That 70's Show Season 1 Episode 1: "That '70s Pilot"
Kitty: Well, the kids are off. I wonder where they went. Kitty: How do you know? Red: I told them not to.